Content is the backbone of good engagement. Having a consistent content calendar is the number one way to reach content engagement goals. While there are many apps, tools, and systems for content calendars, we're here to teach you a simple and effective system that uses Google Docs. Brad Caldana (Schenck) is back to host another Care2 webinar on Developing a Content Calendar. Watch the webinar recording to learn his foolproof and scalable system to creating relevant and engaging content. After this training, you’ll be ready to go with a content calendar that is easy to manage and helps you focus on your organizational goals and priorities. Check out Brad's bio below. You won't want to miss the chance to learn his techniques! Brad was a core part of President Obama’s 2012 battleground state digital strategy and took on the role as the first Digital Training Director for a Presidential political campaign. Other important roles he’s held: Regional Digital Strategy in 2010 for the Democratic National Committee working with senatorial, gubernatorial, and congressional races, National Day of Service Digital Manager for the Obama-Biden 2012 Inaugural team, founding Digital Strategist for Organizing for Action, CREDO SuperPAC Digital Strategy for field campaign, Rainforest Action Network Digital Engagement Director, Head of Engagement for Vote.org. 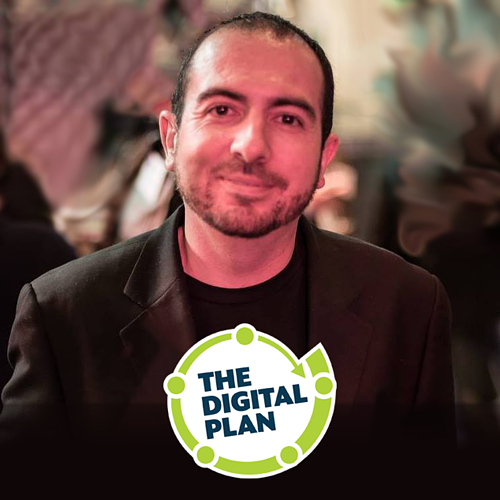 Since 2016, Brad has been working directly with a range of local and international organizations on their digital strategy and leading training with The Digital Plan.